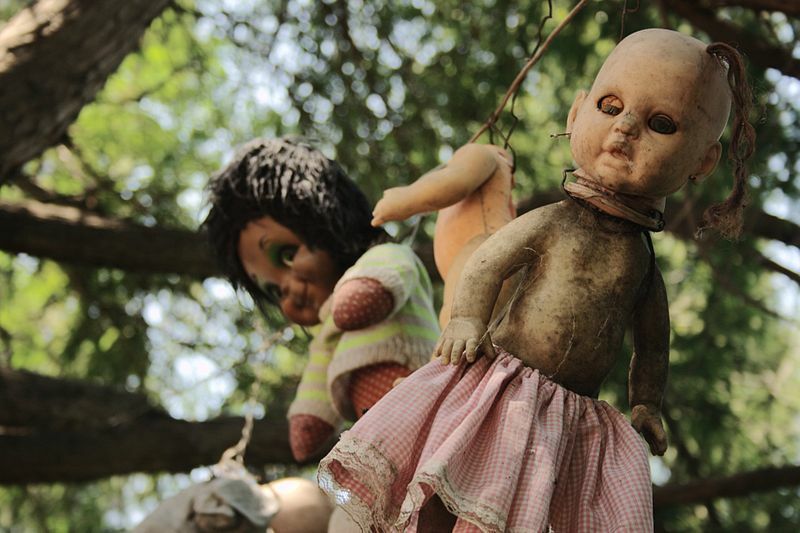 As far as I’m concerned La Isla de las Muñecas is a decidedly creepy place but nevertheless it’s a must to visit, if only because of that creepiness. 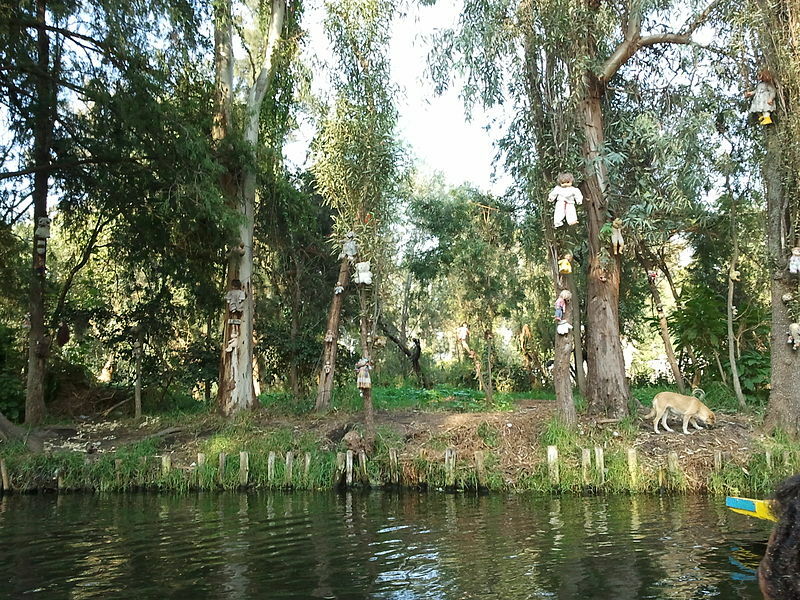 It’s located on a chinampa – a floating garden – on the canal about an hour away from Mexico City by boat. The island is spooky but so is the story behind it. The story goes that the chinampa once belonged to a local man, Julián Santana Barrera, who was considered to be something of a hermit. The story goes on to say that one day, he found the body of a young girl in the water by his island. She had been drowned. He found a small doll with the body. Barrera was evidently distraught because he couldn’t save the life of the little girl and so hung her doll on a tree to honour her memory. But as a horror movie fans will know, that was just the start. Soon he began to hear mysterious noises and was sure that the island was now home to the little girl’s unhappy spirit. Much later, after many years of collecting and displaying dolls, Barrera was found drowned – in the same place that he had found the child’s body all those years before. His chinampa is still in existence – as is his collection of broken dolls. I first heard of La Isla de las Muñecas in a novel, The Orphans of the Carnival. When I first read the book, I imagined that the story was purely fiction. It turned out to be a novelised verstion of a true story. La Isla de las Muñecas also features in the story and again, I imagined it to be a product of the author’s imagination. Who could have thought that such a place really exists? Click on the image of the book to find out more – I highly recommend this book.